It must be tough to be in a band where the lead singer and primary songwriter is your older brother. Not only do you always have to stand behind him in publicity photos, but you also have to settle for being “that guy’s brother who is also in the band” instead of just being “that guy in the band.” But as frustrating as all of that would be, it must be significantly worse if your brother is Arcade Fire frontman Win Butler. He’s basically an iconic figure in indie rock—well, as far as a Grammy winner can be iconic—and his brother, Will Butler, is just another guy in his band. But no longer! 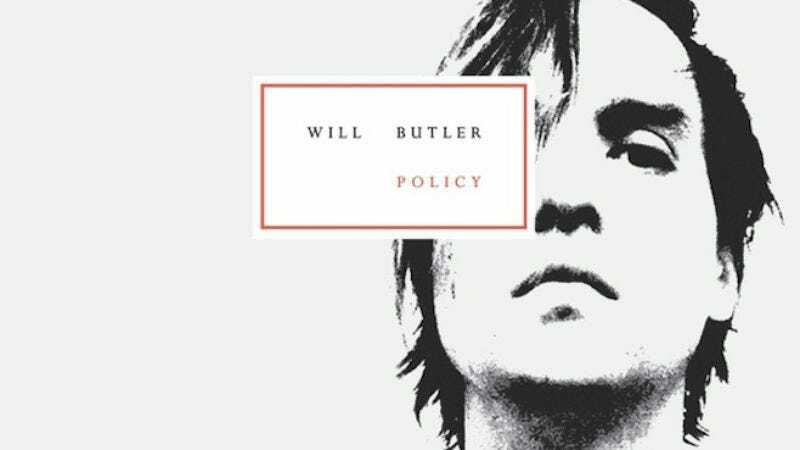 Will Butler has been trying to break out from under his older brother’s shadow and its weird hairstyles for a while, starting with the Oscar-nominated soundtrack for Her that he created with Owen Pallett, but now he’s officially making his own solo album. As uncovered by Arcade Fire Tube, the album will be titled Policy and it will be released on March 10 of next year by Merge. Pitchfork has a bunch of videos from a recent solo show that Will did in Brooklyn, in case anyone is curious to hear what kind of music he makes when free from the oppressive papier-mâché head of his brother.